Harry Hole is a barely functional alcoholic, but he’s also the best detective on the Oslo Police Force. When a series of women are abducted and killed, each left with a snowman marking the crime, Harry must grapple with his own demons to catch the killer. Tomas Alfredson’s previous two pictures – vampire horror Let the Right One In and spy thriller Tinker, Tailor, Soldier, Spy – marked the Swedish director out as one of the best modern filmmakers of genre cinema. Both films were precise, engaging and original – intelligent literary adaptations that were as emotionally forceful as they were narratively gripping. So what the hell happened with The Snowman? 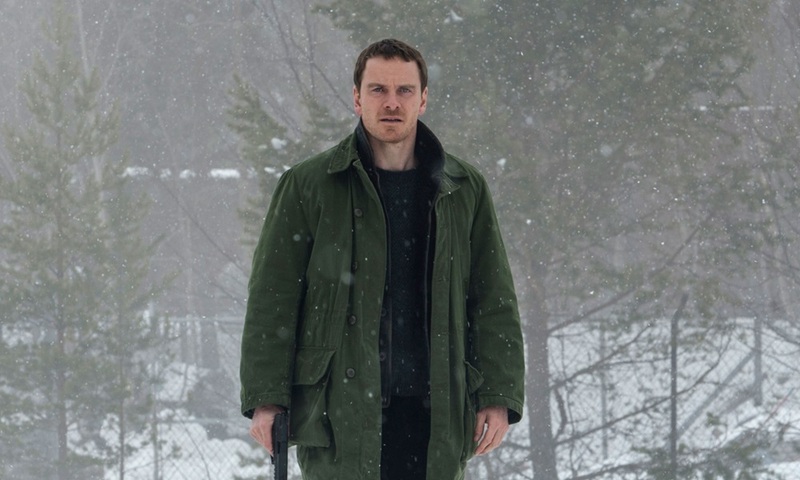 On paper, it should be a hat-trick for Alfredson: another adaptation of a pulpy thriller, a serpentine plot, a bleak setting and morally murky anti heroes. Yet the confident precision of his earlier films has been all but buried here under an avalanche of incoherent plotting, dangling story threads and jarring tonal shifts. At one point, the killer infiltrates Hole’s apartment, posing as a maintenance man, dances to the novelty song ‘Popcorn’, and then leaves. Hole remains none the wiser and it is never mentioned again. Elsewhere, a subplot featuring Hole’s partner and a corrupt official is entirely disconnected from the main story and doesn’t so much resolve as just abruptly stop. Despite the film’s numerous flaws, The Snowman is not quite as calamitous as its near-universal panning would suggest. Michael Fassbender is clearly phoning in his performance yet his natural screen presence just about carries him through. And while the urban sections look they belong on TV, the white Norwegian landscapes are bleakly gorgeous, with shots of the undulating bridge symbolically connecting the prologue and conclusion providing visual momentum otherwise lacking in the film’s narrative. And though it ruins the film’s stark noirish tone, the silliness of the killer’s calling card – sticking his victims’ heads on snowmen – is a gratuitous treat for fans of pseudo-psychological slasher nonsense. The prologue in particular, explaining the genesis of the killer’s motivation, is pulled straight from the playbook of Pieces and Nightmares in a Damaged Brain. It’s ludicrous, but at least it’s fun. This, however, is far from The Snowman‘s most bizarre play. That dubious honour is reserved for Val Kilmer’s role as Rafto, another alcoholic police detective on the tail of the killer nine years previously. Told in flashback, Kilmer’s segments have clearly been hacked to pieces, his performance mutilated into a glorified cameo. Barely recognisable, Kilmer, who has confirmed that he was recovering from mouth cancer during the shoot, has clearly been dubbed – and badly. His voice-over stand in does not remotely resemble Kilmer’s real voice, and the attempts at masking the obvious rush-job is achieved with extremely awkward, amateurish cutaways and over the shoulder shots. The fully story of The Snowman’s implosion is sure to come out in time. Alfredson has already confirmed that the shoot was rushed, and the seams in the film’s editing are not so much cracks as they are chasms of incoherence. Yet there remain aspects of the film that are enjoyable, even engaging. The Snowman is a mess – but it is at least a fascinating one.